ORIGINAL HAND PAINTED MURALS Utilize premium materials and procure equipment. Offer anti-graffiti coating and maintenance plans. Operate under crazy tight deadlines and in all sorts of weather. Work with client supplied design or create an original mural that fits your needs. COMMUNITIES OF OPPORTUNITY MURAL PROGRAM is a community engagement mural project that uses public art as a means to improve a neighborhoods health. 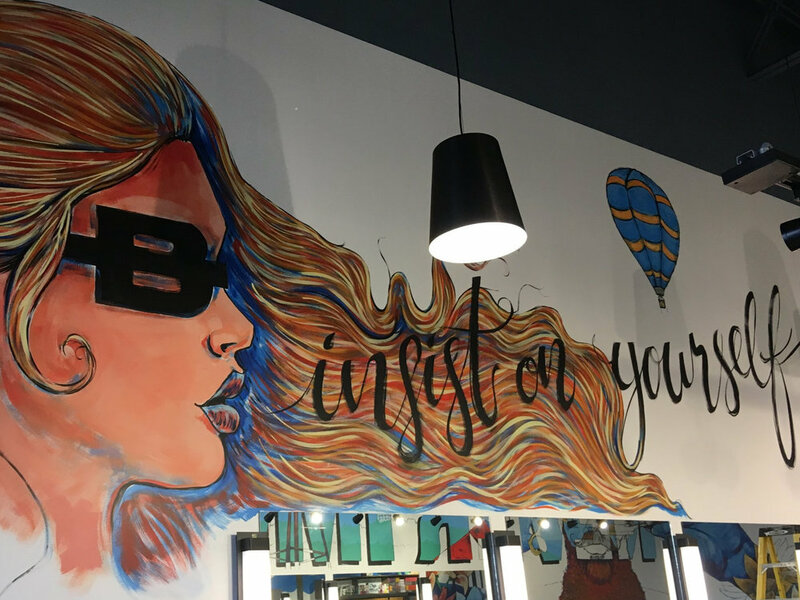 PAINT BY NUMBERS Lead a mural project tailored to your specific needs and location. Simple enough to accommodate children and adults of any skill level.